Is It Wise To Buy A House When You Are About To Retire? HomeBlog RetirementIs It Wise To Buy A House When You Are About To Retire? Pre-retirees may not be the best candidate to buy a house. It takes at least 15 years before you can finish paying this off. If you know that you will retire in 5 to 10 years, how do you think you can afford to pay this property off once your regular income stops? While you may have your retirement fund, you do not want to compromise it if you do not have to. Even if it is sizable enough to finance your daily needs, adding your mortgage payments to the burden could jeopardize your financial position. According to an article published on APlaceForMom.com, you can expect to pay $5,000 a month to live in a one-bedroom unit in a retirement community. That can add up to $60,000 a year. That probably does not include your living expenses. It can really add up so buying your own place in retirement is probably a good idea. When is it okay to get a new house before you retire? Taking on a huge debt before you retire is actually a risky move. However, there are situations that will make it okay. Here are the scenarios that will make it okay to buy a house a few years before you retire. If you will use the equity in your existing home. It is okay to purchase a new home if you have an existing house with a sizable equity on it. If you are a homeowner in your 50s or 60, you probably have some equity on your property. At least, this is true if you did not refinance your mortgage or took out a home equity loan. If your home equity is still intact and it can help you pay for the new house – that is a good move to make. It will even be better if the interest rate at the moment is very low. That would help you save money in the long run. When you use the equity in the house as a down payment, it will lower the home loan that you need to buy. Ideally, you want to borrow as little as possible. If possible try to find a property that is valued at the same amount as the equity of your house. That way, you can pay off the new house without borrowing more money. If you plan to use it for additional income. It is a wise move to set up different sources of retirement income. If you have funds in your 401(k) and you expect to receive your Social Security Benefits, you are all set. In case you want to make your retirement fund more secure, setting up a passive income is also a great idea. The best way to do that is to have a rental property. Take note that you do not have to buy a separate property to have it rented. To make the rental management easier, you can buy a house with a garage or a basement that you can rent out. If you can lease it at a good price, you may be able to use this income to pay for the mortgage of the house and leave you with some extra money to spare. If you have at least 5 years left before you retire. Another scenario that will make home buying a wise move for pre-retirees is when you have at least 5 more years left before you retire. Any longer than that would be a better scenario. While you are still working, it is advised that you pay as much as you can towards the mortgage. That way, you can shorten the payment term of your loan. At this point, you are probably in your late 50s or early 60s. Your expenses that probably gone down because your kids are grown up and living on their own. You are also at the prime of your career – meaning your monthly income is quite high. Lower your standards so you can pay more towards your mortgage. Pay down as much as you can while you are still working. That way, you can enter retirement with a bigger equity. Just make sure that the mortgage that you will get does not charge prepayment penalties. If you want to downsize. Most retirees are encouraged to downsize their lifestyle to help stretch their retirement fund. Part of this process involves your house. You can choose to sell your bigger house and live in a smaller one. As mentioned, the children have probably grown up already and out of the house. You do not need a 3-5 bedroom house if it is just you and your spouse. A 1-bedroom unit is the best size for you. Significantly downsizing your house will help you lower your monthly expenses. If your home equity is big enough, you may be able to buy a house in cash. If you will live in it for a long time. There are two ways for this to be true. The first is your intention of living in this property. There are some retirees who want to travel when they retire. An article published on Forbes.com revealed that travel companies who offer adventure trips for retirees experienced a 67% growth in their business. If you know that you will be traveling for more than half of the year, then it might not be a good idea to buy a house. Another way to look at this is your life expectancy. Do you think you are healthy enough to be able to live a long life? Let us be realistic here. If you know that you are sickly and you will not live to be 70 or 80, it may not be practical to buy a house. However, if you are healthy and you will live long, then, by all means, live in a house you can call your own. According to an article published on CNN.com, it makes sense financially to just buy a home instead of renting. It ends up being cheaper for the retiree to buy a house – especially if they have heirs to pass it on to. You will not only benefit from the savings that you will get from the rent. This is also something that you can leave for your children and grandchildren. Regardless if it is a big or small house, it is something that can probably help them financially. Of course, buying a house should not be done irresponsibly – regardless of your age. Make sure you understand the pros and cons. Not only that, study your financial capabilities to ensure that you will succeed in this endeavor. Here are some tips that you can follow. Find a home that will not be a burden to your finances. This is a must. If you cannot make it earn a rental income, make sure you buy a house that will not cost a lot when it comes to your monthly mortgage. Calculate your retirement fund. You need to check how much you have saved up in your fund. If it can comfortably give you the funds to pay for your basic needs, it might be safe to buy a house. Just make sure it will not eat up a huge chunk of your funds. Create a retirement budget. If you know your retirement fund, you can estimate how much monthly income you can get. Try to create a budget so you can see where the mortgage payments will come from. You may have to make some lifestyle sacrifices if it gets tough financially. There is a feeling of security when you are living in your own house in retirement. This is one of the reasons why it is appealing to buy a house. However, make sure you will compromise your overall retirement life in the process. 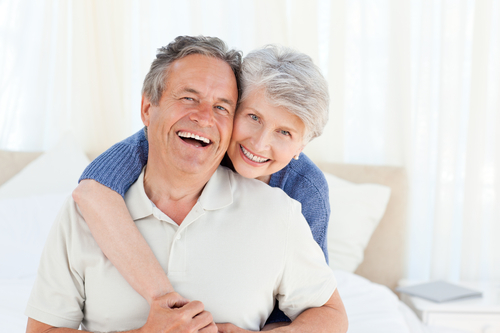 You can also benefit from homeownership through a reverse mortgage. It can help you get money in case your cash runs out. This is a great loan for retirees. Find out more about reverse mortgage through this video. Question: Are you ready to buy a house? Answer: The answer to this question will depend on your credit report, income stability, and lifestyle. Getting a pre-approval on your mortgage is not enough. You have to know if you are willing to stay put in the same house for at least a decade. Question: Can I buy a house without a loan? Answer: It is not impossible, but it would be very hard to do so. Since real estate properties are expensive, it would take you a long time to save up for it in cash. This is only possible if you chance upon a huge windfall money. Question: Can I buy a house on a low income? Answer: People with low income can afford to buy a house. Just make sure that you will buy a low cost house that will only require you to pay low monthly home loan payments. Not only that, you have to work on your credit score so you can get a low interest rate on your mortgage. Question: Can I buy a house with bad credit? Answer: It is possible because you can still borrow a home loan despite it. However, it is not advised because it will cost you more in the long run. A bad credit score will lead to a high interest on your mortgage. Question: Can I buy a house and rent it out? Answer: Yes you can. The mortgage you will borrow does not have to be a traditional home loan but an investor loan. This is when you buy a house with the intention of earning from it.